William Hill knows betting, after all they have had over 80 years of experience since Hill opened his first bookmakers in 1934. They may be one of the UK’s longest standing betting brands, but William Hill is not lost to antiquity when it comes to the modern world of gambling. 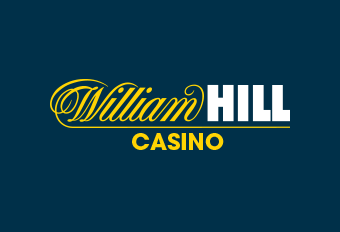 Their calligraphic logo may not have changed much over the years, but it is worthy of adorning the online William Hill Casino. Decked out in their unmistakable royal blue, fans of the classic bookmakers can enjoy their favourite online casino games, some exclusive to the site, right in their own homes. William Hill is registered in Gibraltar and is regulated by both the Gibraltar Gambling Commissioner and the UK Gambling Commission. It is listed on the FTSE 250 London Stock Exchange among the UK’s biggest and most trusted publicly traded bodies. If there is one thing that can be said about all the types of games on offer in the casino, it is that there are lots! Each category is bursting with vast selection to choose from, whether it is slots or table games the gambler seeks. This William Hill Casino review would be lacking if it didn’t mention the 220+ slot games available, which includes many progressive slots with big cash prizes. Boasting amazing graphics, you’ll find all your favourites from film and TV, so you can spin away with the likes of American Dad, Superman and Monty Python. For those really big wins, players can also head to the Jackpot section where the largest winnings go into the millions! If table games are more your thing, then at William Hill Casino you will never be bored. As well as every kind of Roulette, including Deluxe, 3-D and American, there are lots of games such as Sic-Bo and Bingo. You can even awaken the schoolyard gamer in you with seldom seen games like Heads or Tails and Rock Paper Scissors. And card lovers have plenty to celebrate with casino favourites such as Blackjack, Poker and Baccarat as well as Pontoon and Jacks or Better. Available to play live are four casino favourites, Baccarat, Blackjack, Roulette and Casino Hold’em. Streamed from lavish settings with friendly live dealers, these games are sure to transport you to an authentic Las Vegas casino experience from the comfort of your own home. Live Roulette is available in European and French. Since their joint venture in 2010, William Hill Casino and Playtech have been working together to provide quality gaming experiences for their users. Just perusing through the vast choice of games it is clear that only the best graphics and most engaging gameplay make it to this online casino. This level of artistry is applied to even the simplest of slots giving them a sense of grandeur expected of the epic, narrative driven casino games. If you wanted to get away from your desktop and onto your favourite armchair, William Hill provides the widest choice of apps to take your casino experience mobile! William Hill and Playtech bring the thrill of their games onto the small screen with dedicated apps for mobile Casino, Live Casino, Games, Vegas and Bingo. With this brilliant mobile casino, it is now easier than ever for users to play on the move. The world is your casino with William Hill! For every type of gamer there is a bonus just for them at William Hill Casino. New sign-ups can enjoy a Welcome Bonus of 100% up to £300 with their first deposit. But the offers don’t stop there as every day you can expect a £5 deposit bonus when you bank a minimum of £10 to play with across the whole William Hill site. There is a giveaway for 10,000 free spins and users can enjoy a 150% bonus up to £200 when they download William Hill onto their desktop. All bonuses are subject to game weighting and wagering requirements so be sure to read the small print to get the most of these amazing offers. Found only at William Hill, loyal players can collect Comp Points in exchange for cash. In this unique loyalty scheme, a player collects these Comp Points for wagering real money on the site and once they get to 100, they will be given £1. For peace of mind and to keep your funds safe while you gamble, William Hill Casino provide a number of payment options including, PayPal, NETELLER, Skrill and PaySafeCard. While providing you with this wide range of secure payment methods, they even have their own unique method, William Hill Cash Direct. All banking and personal details are encrypted using SSL technology from Thawte and William Hill reviews their security protocols on a regular basis for that extra layer of security. Contacting William Hill Casino is simple for any customer with a query. Their preferred method is Live Chat which is fast and efficient, but they are also available on email and at the end of the phone. Their email contact box ensures a thorough approach to your question as you can select a product from a drop-down menu to point the Customer Service team in the right direction and there is also the option to upload any files needed such as screenshots. By covering all your bases, William Hill Casino’s customer support team are sure to come to a quick and satisfactory resolution. Before you get in touch, however, it is worth looking at William Hill’s extensive FAQ section which is intuitively signposted and easy to read.